Cuba is the ideal combination of city and beach, culture and indolence. Spend a few days strolling the streets of Old Havana, visiting cigar factories, drinking mojitos and dancing in salsa bars. Explore the colonial city of Trinidad then kick back on one of the Caribbean's most beautiful beaches. Where can you find a grown-up Caribbean holiday with oodles of culture and history, world-class beaches and a wallet-friendly price? Cuba is the answer. In our view, Cuba is quite simply the most fascinating of all the Caribbean islands, boasting picture-postcard Caribbean allure to a distinctly Latin beat. We’ve created a range of holidays which combine the very best that Cuba has to offer. Our options include multi-centre holidays, fly-drive and escorted tour itineraries. Historic Old Havana is like walking through an open-air museum. We have hand-picked a selection of three to five star hotels, most of them are historic landmarks in themselves – the elegant Saratoga and charming Santa Isabel for example. When it comes to R&R, Cuba has miles of white sand beaches. Our favourite, for sheer escapism on wild pristine beaches, is Cayo Leviso – a low key gem of a place, perfect for chilling out. Multi-centres with a city and beach combination are great for variety – we can tailor-make any itinerary but here’s one of the most popular options, combining Havana, the mountains of Vinales and the Jibacoa beaches. 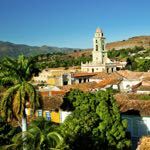 There are options which include the vibrant cities of Trinidad and Santiago de Cuba too, famed particularly for their music. 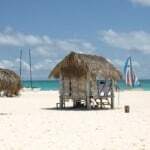 Our team can also suggest some seriously romantic honeymoon ideas in Cuba and holidays with families in mind too. Last but not least, check out this unique cruise on a tall ship around Cuba’s southern islands and the nearby Cayman Islands, which you can combine with a few days in Havana. 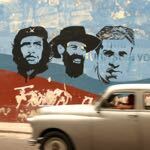 Find out more about our holidays to Cuba, and see the best time to visit Cuba.